On Wednesday, April 3rd, Dr. Schultz’s Anatomy & Physiology classes took a field trip to the Museum of Discovery in Little Rock. Students performed a "Heart Dissection Lab" while there. 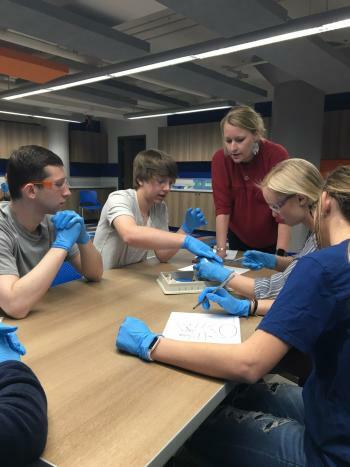 In this lab, the students explored the anatomy and physiology of an adult pig's heart. They also had the opportunity to explore the entire museum, specifically taking interest in the A&P area (the Amazing You gallery). The Amazing You gallery looks inward and hones in on how our bodies function. They learned about the intestines, bones, skin, brain, blood and more.